Stephanie Sara Lifshutz’s neon pieces play with the medium’s traditional and widespread use as a communicative tool. Through the use of language and a direct, minimalist approach, her works embrace neon’s association with signage to convey and evoke a wide range of sentiments. 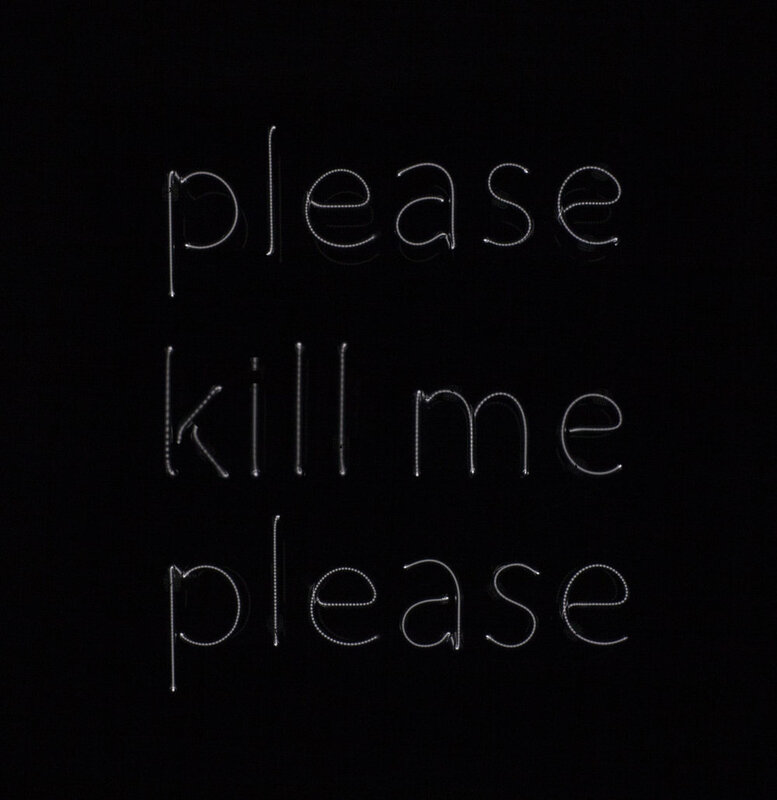 Please kill me please explores the profound emotions of grief and loss, as well as the manner by which word choice influences how something is interpreted. Here, the deliberate use and repetition of the word ‘please’ intends to soften the statement. It’s a commonly heard and used phrase, “kill me”, but in its tucked away presentation with the phrase awaiting discovery, the request is unexpected. Whether the phrase is understood as the sarcastic saying casually tossed around, or as a very serious request, is left to the viewer’s interpretation. “With most of the work I make, I try to find the balance between subtlety and loudness. So, I try to make the pieces soft and quiet, but I hope people can sit with them and really think about them. They’re loud in the way that you carry them with you and revisit later,” Stephanie explains. Stephanie has a fine art background in photography and first picked up neon during her second year of graduate school. 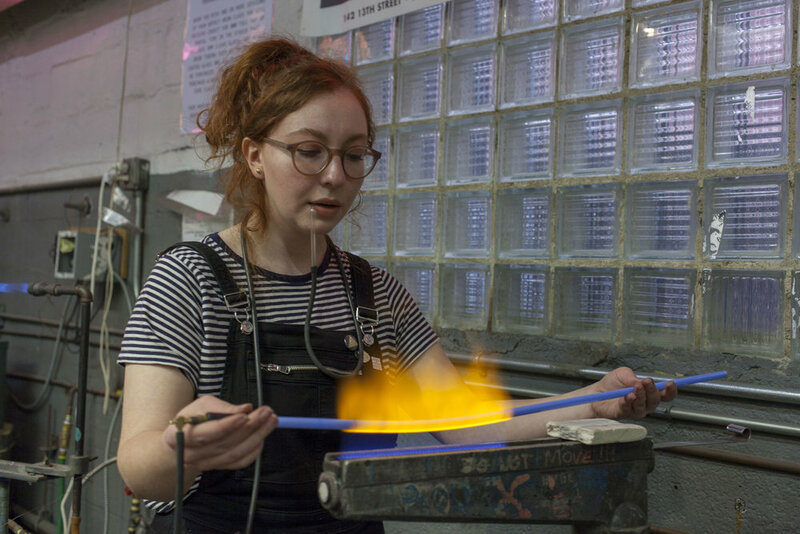 After graduation, she rented studio time at Brooklyn Glass where she was soon hired as a production manager in their shop, Precision Neon. There she worked alongside SHE BENDS artists, Kacie Lees and Kate Hush, among other women benders who reinforced her interest in the medium. A selection of Stephanie Lifshutz work is currently on view at The Midway Gallery as part of SHE BENDS: Women in Neon. You can see her thought-provoking signs, and that of 31 additional female benders during our gallery hours Wednesday thru Saturday from 2pm to 7pm.